Tom Sykes has repeated the same feat as yesterday, putting himself on the top of the time sheets, this time in morning Warm-up. The windy morning session saw Sykes clock a time of 1.31.376, half a second slower than the time he posted yesterday afternoon that will see him start this afternoon’s races from pole position. 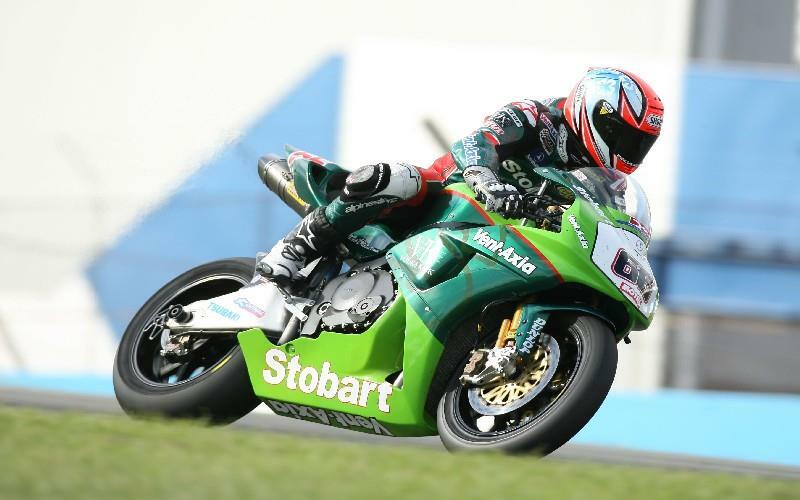 Leon Haslam backed up why he’ll be starting from the front row too, putting in a time this morning two tenths off Sykes’ Stobart Honda. Cal Crutchlow has maintained his progressive form this weekend, and will be confident for a good result today starting from row two. In fact the top eight riders this morning are the same runners who’ll be starting on the front two rows for today’s races, all separated by under a second.